Westacott Mailing will not distribute your information to third parties. Here at Westacott Mailing, our UK call centre services are provided by our sister company WeTakeYourCalls.co.uk. Staffed by expert operators, WeTakeYourCalls.co.uk process inbound and outbound customer communication for our clients. 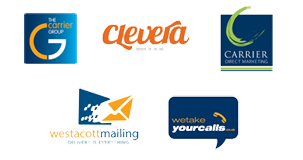 WeTakeYourCalls.co.uk offers full-service customer contact centre, including phone, voicemail and email. We pride ourselves on providing comprehensive training to our operators ensuring they fully understand your business requirements and the objective of each call. Our Contact Centre Services are entirely bespoke to your requirements, from mail order lines, to customer services, we provide a tailor made service.